Grace Hampton is a visual artist who sees the potential for connections across academic fields, faculty and cultures. The former Vice Provost of Penn State University (PSU) is also a skilled administrator who is familiar with the university's array of experts across disciplines. "The goal of the consortium is to create a platform for collaborative engagements that will promote research and enrich and increase the creative capacity of faculty members for the further development of UDS, KNUST and PSU and society as a whole," explains Hampton, who arrived at Penn State in 1985 and served as Director of the School of Visual Arts, Vice Provost, Professor of Integrative Arts and Art Education, and Senior Faculty Mentor over the years. "What I'm attempting to do is put together and bring out the best of both systems," says Hampton, who also previously served an Assistant Program Director at the National Endowment for the Arts in Washington D.C.
Hampton is no stranger to the West African nation; she lived in Ghana for two years and has been traveling there for the past 20. Two decades ago as an up and coming professor at Penn State, she developed a course in African and African American culture, collaborating with experts in Ghana and Nigeria. "Along with the students, I began learning while teaching the course," she says. "Ideas are not a one way street," she says, emphasizing that the benefits will be reciprocal. She has no doubt that Penn State has as much to gain as its Ghanaian counterpart. As an example, she points to the medical program in KNUST, which is focused on raising the medical standards of Ghana -- an issue Penn State Medical School is working on in the U.S. context. "How does a developing country like Ghana that has a strong sense of culture, people, and history -- how do they deal with those issues in comparison with how they would be dealt with in a modern university like Penn State?" Hampton asks. "We're looking at the importance of the arts, education, and culture and the differences in how they are viewed traditionally and how they are used within both societies today. They are not so different. A greater cultural awareness and understanding of both cultures can be gained through the work of the consortium.” says Hampton. "It starts with a blank canvas -- that was the same process I used in developing the consortium. Looking at parts and pulling them together to see how they fit," she explains. "You bring all your skills to bear. It's fun and challenging." 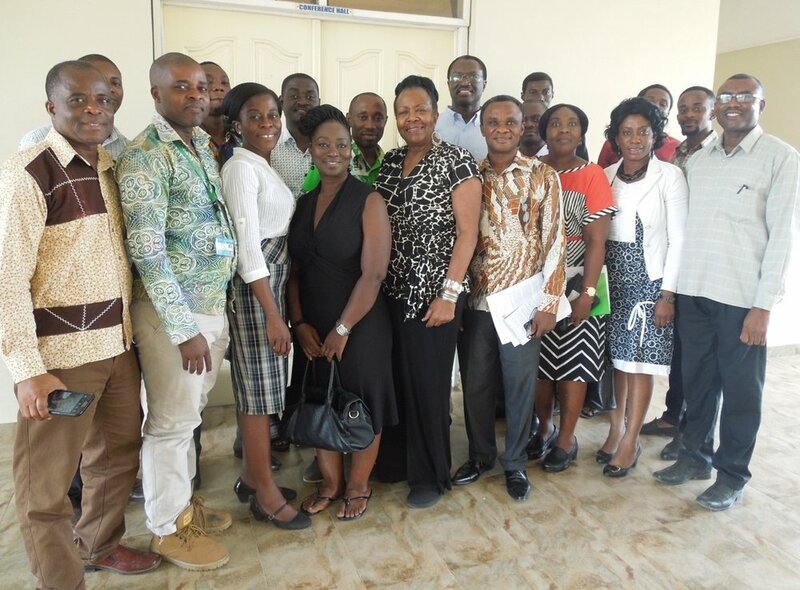 As Hampton sees it, the Fulbright Specialist program enabled her to help formalize a lasting relationship between academic institutions in Ghana and the U.S. that started informally many years ago. It is the culmination of her life's work as an artist, administrator, and teacher with a passion for connecting Africa and African American cultures.